At deme, our clinicians believe that the Pain-Free, Hair-Free is the most effective, painless system for removing unwanted hair permanently. It’s safe for all skin types, hair types and most hair colors, though depending on the size of the area treated, a series of office visits are required to see the full benefits. 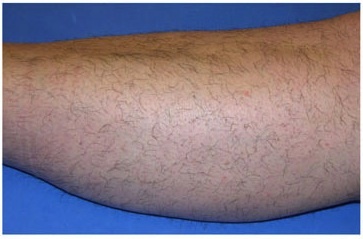 Pain-Free, Hair-Free uses photoepilation wavelength (810 nm), considered the gold standard for laser hair removal. In addition, a “patented DualChill” mechanism ensures the surface of your skin stays cool and even more comfortable throughout your treatment. The Soprano ICE Hair Removal Laser by Alma Lasers offers a cooler treatment method for hair removal. The ICE applicator cools the skin by integrating numerous cooling mechanisms while clinically-proven technology creates smoother results. 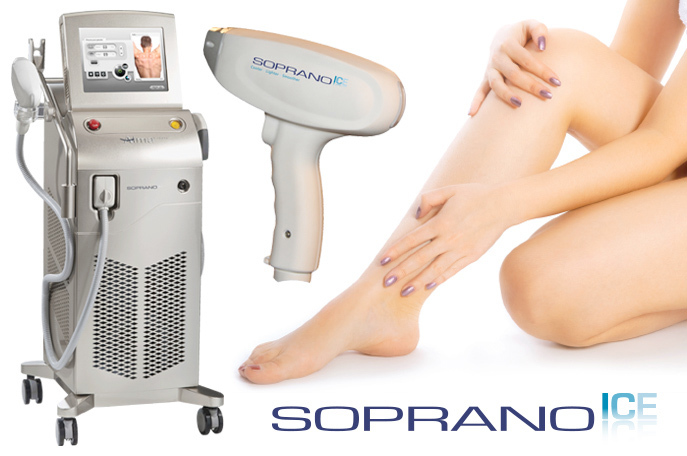 The Soprano ICE laser is virtually painless while minimizing the chance of negative side effects and maximizing patient comfort. There are even smaller laser heads that are ideal for reaching areas such as the ear or nostrils. It is FDA cleared for all skin types and is safe to use year round. To learn more about the Soprano ICE, click here. To schedule a consultation with one of our renowned clinical aestheticians, call our Center City office at 215-561-3363 or our Wayne office at 610-688-3363. Contact demė - cosmetic and dental care in Philadelphia, PA to schedule your face and body laser hair removal appointment today. We are happy to help our patients who come to us from Philadelphia and the suburbs, Delaware, South Jersey, Wilmington, King of Prussia, Doylestown, Cherry Hill, Bucks County, Lehigh Valley, Allentown, Bethlehem, West Chester, Main Line, Montgomery County.